Hills GM of vendor business management, Darren Banks. 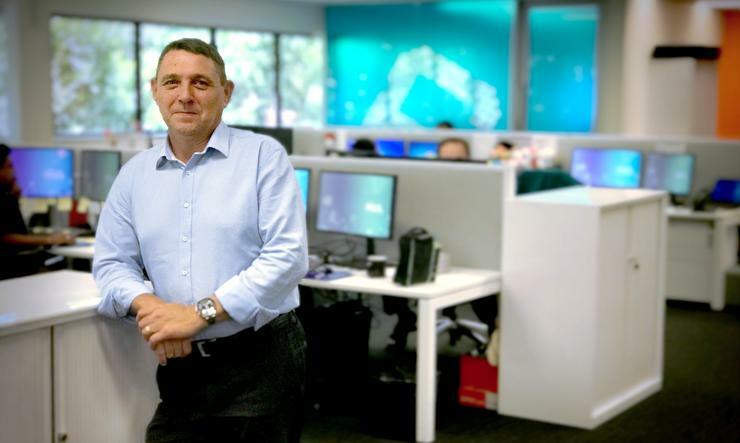 ASX-listed distributor, Hills has hired former Tyco regional sales director for security products, Darren Banks, as its new general manager of vendor business management. In the newly created role, Banks will be responsible for developing and managing vendor relationships across the A/NZ market. Prior to joining Hills, Banks spent eight years in his regional Pacific sales director role with Tyco, dealing with brands such as DSC, AD, Exacq, Software House, CEM and Kantech. Hills CEO and managing director, David Lenz, said Banks’ appointment was key to offering a diverse and differentiated security portfolio. “We’re investing in getting the basics right, opening a national distribution centre and flagship trade centre at Seven Hills, revitalising New Zealand operations and launching a new e-commerce platform to provide strong channels for vendor sales,” Lenz said. Hills head of sales for security, surveillance and IT, Bill Sakellariou, said Banks’ experience is invaluable as the distributor determines the best fit for its vendor portfolio across key vertical markets. “Banks has an excellent reputation for effective leadership in the security industry, forming and fostering solid relationships with customers and partners, and developing strong teams which are able to foster vendor engagement, identity and develop go-to-market plans,” he said. Last week, Hills appointed Rick Splinter as enterprise business development manager in New Zealand, as the specialist distributor expands capabilities across the local channel. Based in Auckland, Splinter is tasked with providing additional expertise to the purpose-build business, while strengthening the company’s sales capacity. The distributor told shareholders in September it was embarking on a digital transformation program to revitalise its e-commerce capabilities and also improve core business processes, customer engagement, and operational efficiencies.